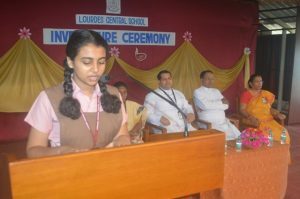 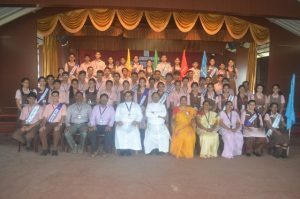 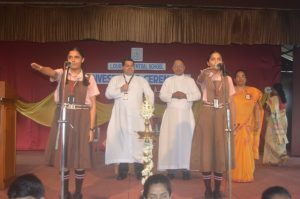 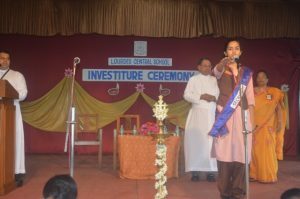 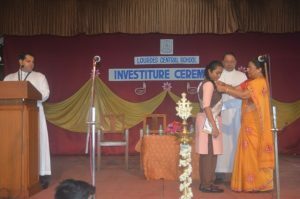 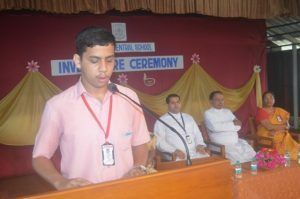 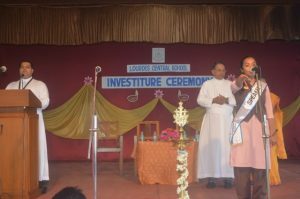 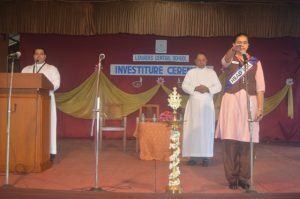 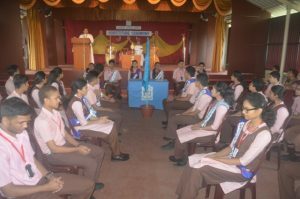 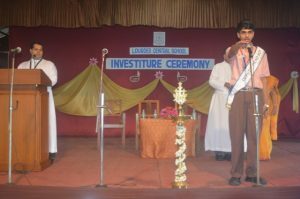 The investiture ceremony was held on 17th of June 2017 on the roof top auditorium of Lourdes central school. 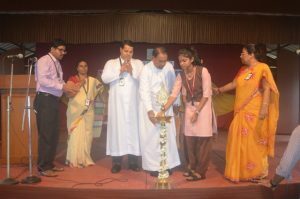 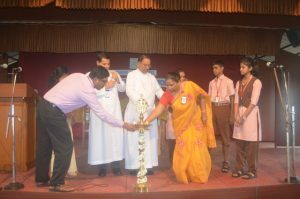 The program commenced with the chief guest Rev Fr Manager Wilson L Vitus Dsouza speaking about the political leaders like Aristotle. 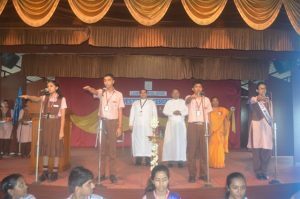 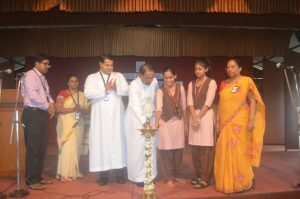 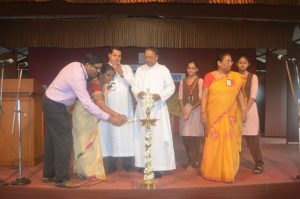 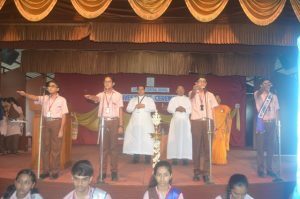 The manager Wilson L Vitus Dsouza , principal Rev Fr Robert D’souza and vice principal Belita Mascarenhas were escorted by the head boy, Gavin Abner Pinto to the dais. 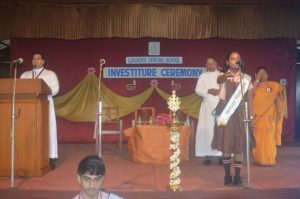 Sakshi Shetty of class 12 B welcomed the audience and dignitaries followed by the ceremony of lighting the lamp. 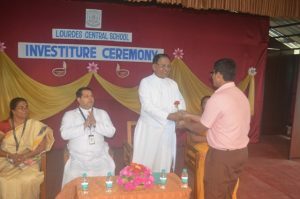 The chosen students who were to be representing the school cabinet for the academic year 2017-18 were felicitated with their positions. 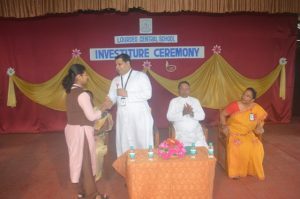 Two new portfolios were introduced by the principal for the coming years. 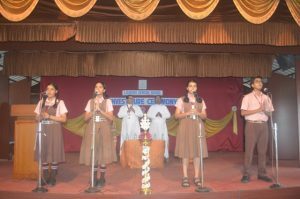 These were the LCS commandos and the school choir representatives. 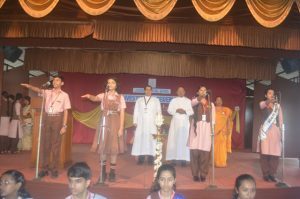 The LCS commandos include, Samradh Alva of 12a(captain), Sougandh (vice captain) of class 11a, Aman CM, Mohammed Khaleel, Lakshith Srisrimal, Pradeep, Suvan Bn, Vraj Rabara, Alison Fernandes, Anushka Ullal, Bhakthi Shah, Nisha Shetty and the two choir representatives, Parvathi Menon and Nilisha Dsa. 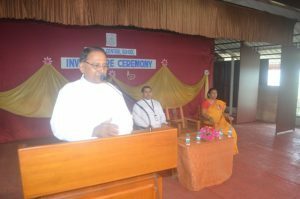 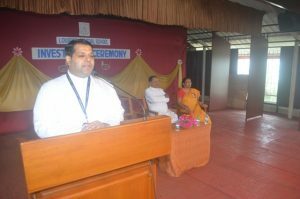 The manager and Fr principal enlightened the gathering through their words of wisdom. 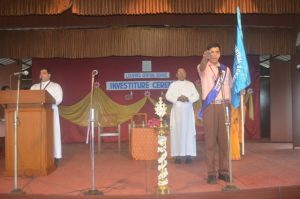 Finally the phenomenal event came to an end with the head boy Gavin Abner Pinto proposing the vote of thanks. 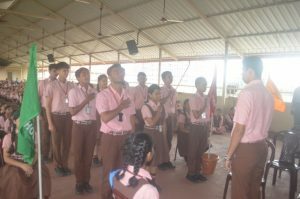 The program concluded with the singing of national anthem. 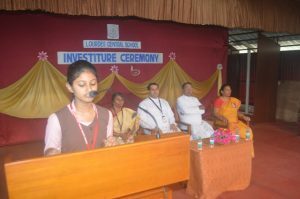 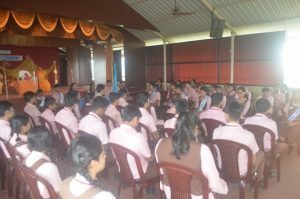 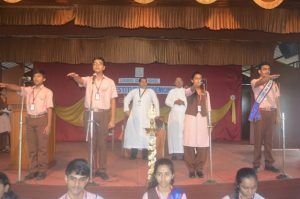 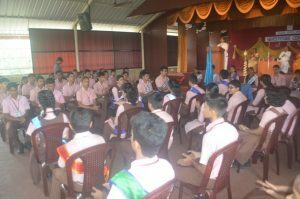 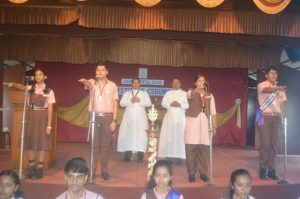 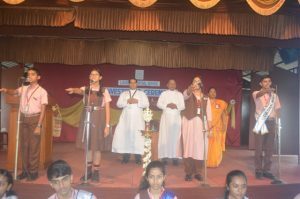 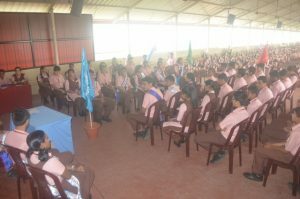 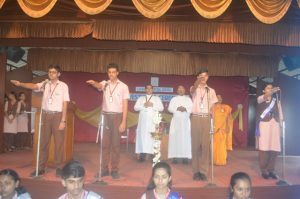 The program was anchored by Ayushi Mishra and Abel Shibu of class 12B.